1. Apply a layer of En Vogue Base Coat. Cure. Apply two coats of En Vogue Sip Happens Lac It!, curing each layer. 2. Add trimmed strips of printed Mylar onto the dispersion layer. 3. Glue on some rose gold circular studs. Wipe the top of the nail with cleanser. 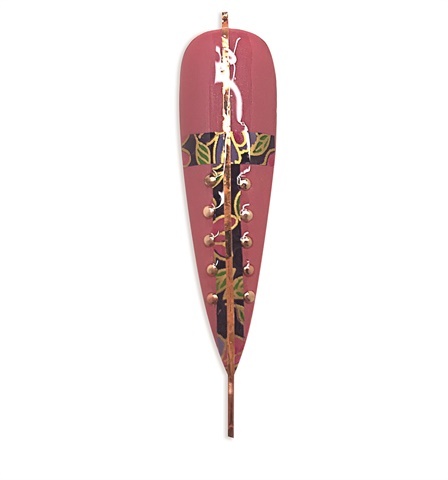 Apply a line of rose gold striping tape down the center of the nail. 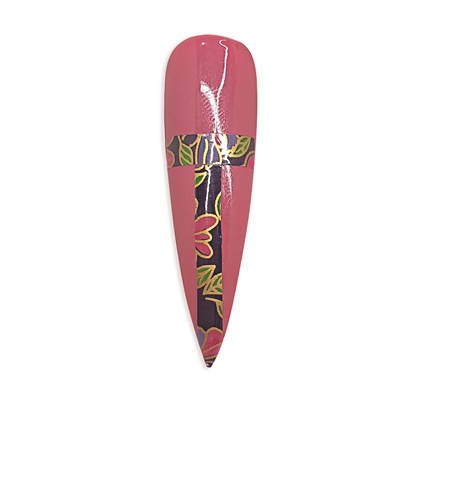 Apply a layer of En Vogue Fiber Gel over the entire nail to lock in the design. Cure and wipe the dispersion layer with cleanser. 4. 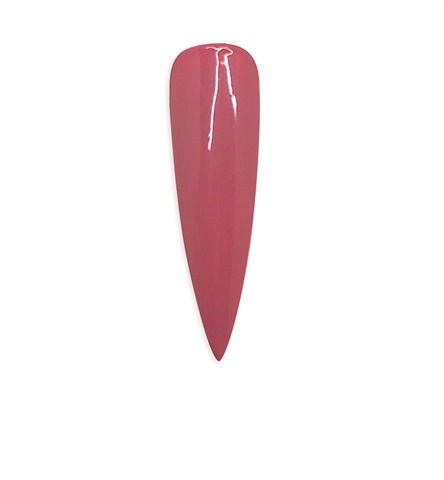 Apply En Vogue No-Wipe Top Coat over the entire nail. Cure. 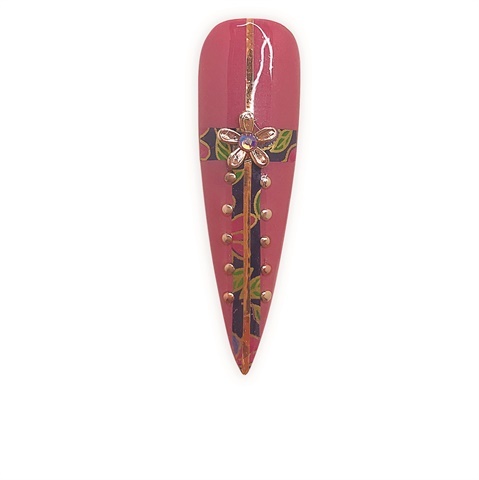 Add a bead of top coat and place the flower charm in the bead. Add another small bead of No-Wipe in the center of the flower and place the rhinestone in the bead. Cure. For more information, visit www.envoguenails.com.